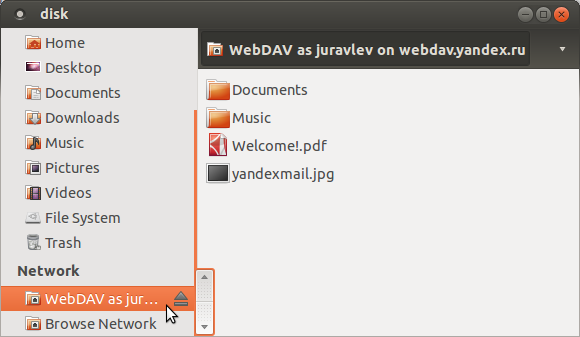 To connect to Yande.Disk in Linux, use standard file managers: Nautilus in Gnome and Unity, Dolphin in KDE or Thunar in Xfce — or any other programs that support WebDAV. Restriction. 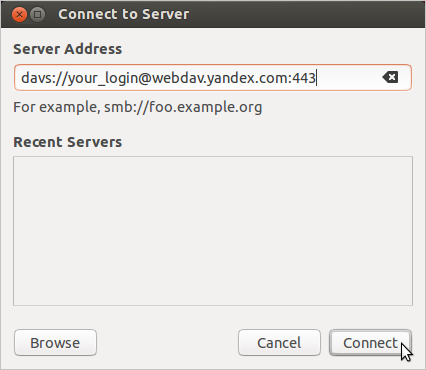 You must have GVFS version 1.11.4 or above to work with WebDAV. 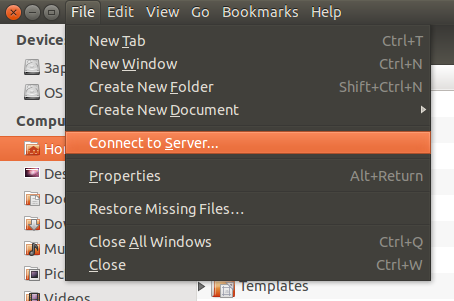 To connect to Disk, go to menu option Nautilus → Connect to Server. 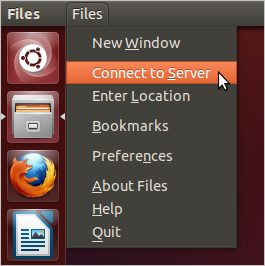 Nautilus will then open a folder with your Disk contents and add it to the list of available devices in the left-hand panel, under Network. To connect to Disk, go to File → Connect to Server. 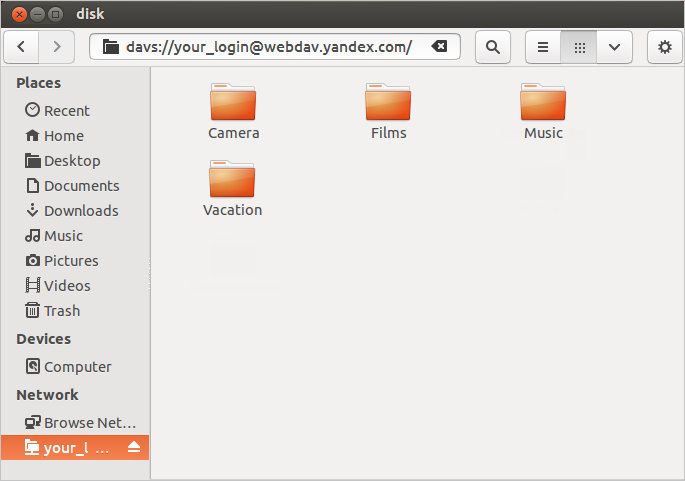 Enter webdavs://webdav.yandex.com in the address bar of the file manger. 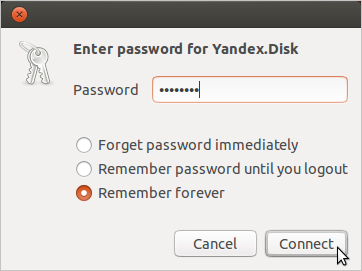 Then enter your Yandex username and password in the login window. 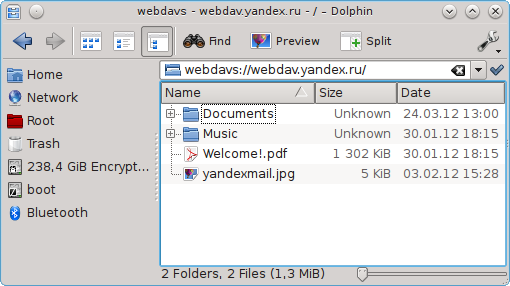 Dolphin will open a folder displaying your Disk contents. You can add the folder to the left-hand panel for quick access: right click anywhere in the folder and select Add to Speed Dial.